Moon Position: 12°51’27" – 25°42’52" Aries Moon Sign. 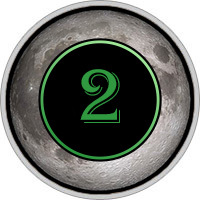 Moon in Second House means ambition, willpower, energy. Sober mind, good judgment, but to the detriment of the senses. Hard work, hard work, endurance, stamina, patience, commitment, self-confidence, penetrating power. A strong sense of duty, responsibility, and a strong desire for material things, material things. A man with such a position of the moon he runs his life, create their own destiny, it is here that the moon promotes individual self-assertion. He knows how to keep a secret, and secrets, trying to help one’s neighbor, to mitigate its suffering, and able to defend any attack by enemies or criminals. Can lose caution and capable of reckless acts. A good position for health. Phenomenal and psychic abilities. Wisdom is acquired by the accumulation of life experience, knowledge, thanks to the sober analysis and awareness of past mistakes, blunders, mistakes. In many horoscopes is the location of the moon indicates a successful commercial activity, business, both small and large. The ability to find buried in the ground or immured in a wall or a treasure trove. In the horoscopes of seafarers, especially the military, the Lunar House may indicate adverse, dramatic, even tragic voyage that ends with the ship or breeding failure, or a shipwreck. This was particularly pronounced during the First and Second World Wars. This situation often occurs in the lunar horoscopes of people who were in captivity, concentration camps and killed in these circumstances, or the victims of repression. Often the moon in the 2 Lunar House points to an immoral lifestyle, unreasonable love affairs and intimate contact.